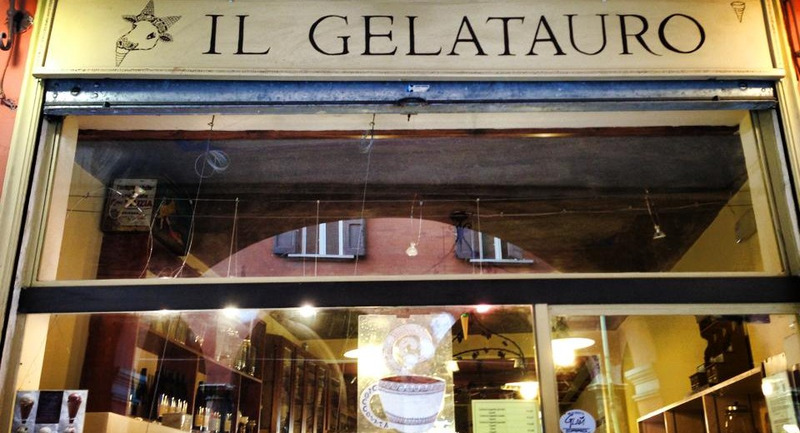 Homely and unpretentious, Gelatauro have an attractive woody residence just before you reach San Vitale gate on the left as you walk away from the centre. Despite becoming a tourism magnet, also selling other delicacies from Italy besides ice-cream, Gelatauro is always packed with Italians and has a relaxed atmosphere. The multi-lingual assistants will let you taste a variety of flavours, unhurried, and will make gentle recommendations if necessary. The ice-cream itself was fantastically light. This is an important point, given that Italian ice-cream often ends up as more of a frozen mousse than ice-cream, which while delicious, can land rather heavily in the stomach. However, every flavour sampled was light as a feather, even the richer Nocciola or Pistacchio. Green Tea (phenomenal), Pistacchio di Bronte and Ginger. The green tea tastes alive, and is certainly just leaves minutely blended with cream and sugar. Pistacchio from Bronte, which is a village near Naples, is famously good and deserving of the nickname “l’Oro Verde” (Green Gold).